Tyrrell significantly enriched the variety of public entertainment in Philadelphia and elsewhere. In 1936, he became one of the first to book the Shipstads and Johnson ice skating show, and its success in Philadelphia led to the establishment of the Ice Follies, which in turn became one of the most successful shows in the entertainment field. In 1940, he formed an association with ten eastern sports Arenas which financed the Ice Capades, another ice skating show, separate from Ice Follies. Tyrrell was named business manager and organized and signed the talent for the first production. He served as first company manager and president. After rehearsing the show in the Philadelphia Arena, Tyrrell took it on its first road trip to New Orleans, La. Subsequently, the show was taken to Atlantic City, N.J., and rehearsed during the summers under Tyrrell’s direction before setting out on road tours throughout the country during the winters. 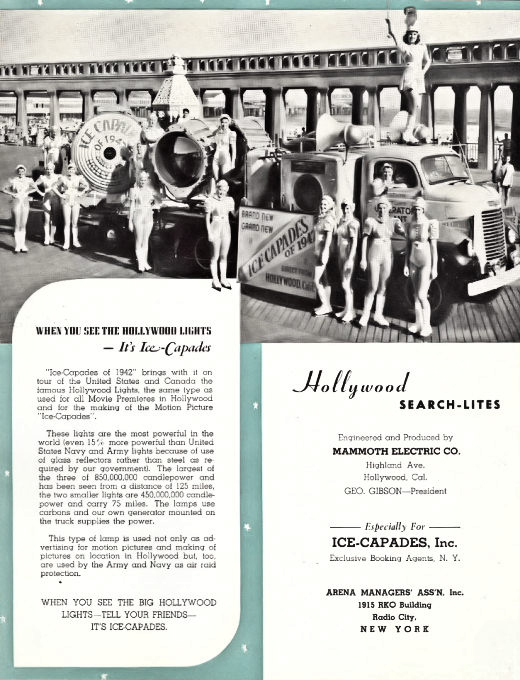 He was a director of the Ice Capades from 1940 until 1963, when the company was sold to Metromedia, Inc., for $5 million. An interesting side note to Tyrrell’s career is that he convinced Sonja Henie to turn professional, and she made her professional debut at the Arena and subsequently became the star of her own show, Hollywood Ice Revue. Peter A. Tyrrell died in Philadelphia, Pa., May 8, 1973. Copyright © 2019 Pro Skating Historical Foundation. Powered by WordPress. Theme: Spacious by ThemeGrill.